Low back pain is confusing, frustrating, and bothersome for a vast majority of individuals throughout their lives. 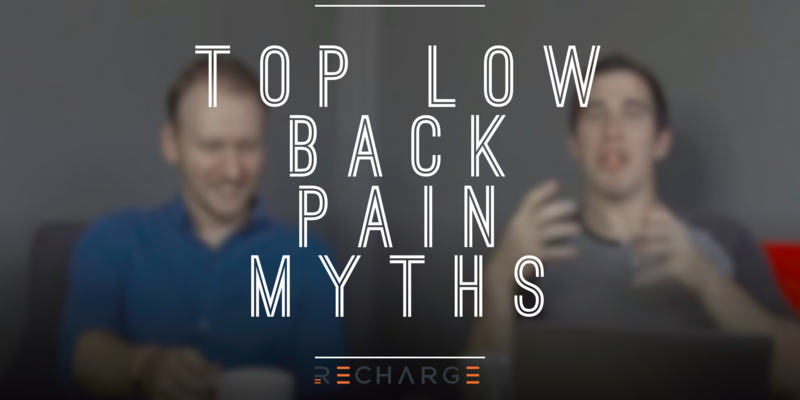 In this mythbusting episode we tackle the confusion surrounding low back pain and some of the myths that seem to have lingered around longer than they should be. The jelly doughnut analogy has been one that has been perpetuated for a long time. One reason may be because, well, we really like food. More importantly, the analogy is a way for us to visualize and make sense of our pain. It isn’t like when you scrape your knee where you can see what is going on and assess it. Low back pain is almost invisible in that sense and is hard to get a grasp on. Our discs are inherently great at shock absorption and supporting our spine against gravity. They are active in that they are fluid filled and fluctuate in how much fluid they have in them throughout the day and throughout our lives. The key factor of discs is that they are protected by an immense network of strong muscles, ligaments, and tendons. This doesn’t mean the back is free from injury (as most of you reading this probably already know). People can rupture their discs and have pain, but people can also have ruptured discs and not have pain. Back pain is not synonymous with discs being ruptured or injured. Every person walking into HoCo CrossFit class for the first time says this MYTH at some point. Your core is not just your six pack abs! It is the sides of your trunk, your back muscles, your spine, your diaphragm. All of it encompasses your core. It is often much stronger than people believe and the idea that it is weak would mean that people would not be able to accomplish much of what they do on a daily basis. The feeling of weakness is most likely more attributed to being uncomfortable with certain movements, having difficulty with certain aspects of weight training, or a difficulty catching one’s breath during exercise. It does not mean, however, that you are weak. Allowing that narrative to fester will make it more difficult to realize your full potential and strength as you go on. Real talk. It can most certainly FEEL as though your back is out of place, but the idea that our bodies are frail enough to have our spine be moving in and out of place is another narrative we do not want to continue. Our body can often feel off, or not right. The “back out of place” is just one of those. Unfortunately that phrase has gone past feeling for some and actually looked at as truth. Looked at as “my back is out of place and now I need to have someone put it back.” If our backs were that frail, football players would have no chance at survival with all the hits they take. Our backs are amazingly strong. So are we. We just need to allow ourselves to believe that and understand that our bodies can feel off, but structurally and physically are never out of place. Posture has been a topic of conversation for years and years… and years. 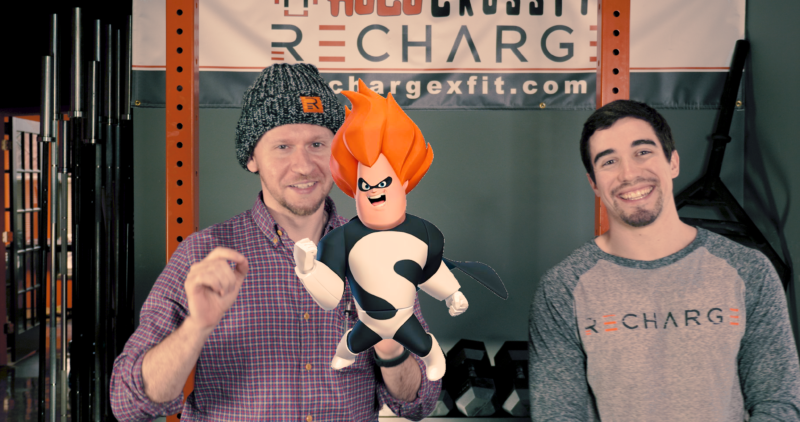 We will keep this part short because we know you all have been told about posture for years. -There is no perfect posture. Not only does it differ from person to person, but our idea of “ideal posture” has actually changed from every era of history to another. “Ideal posture” in the early 1900’s looks vastly different than it does today. -Posture is not indicative of pain. Just because you have pain with sitting does not mean it is your posture, if switching your posture helps, great, but it is not end all be all. Often we find that it is staying in one single position for too long, or a lack of activity that is more the culprit. -Posture in terms of performance and efficiency can be important because it helps us take on loads and positions that require a level of finesse and precision to achieve the best possible performance or outcome. Overall, whatever posture you have right now reading this is probably alright, sitting or standing in same place for eight hours however, may be a different story. Thanks for tuning in and reading the first episode of our Mythbusting edition. Check back again next week for another mythbusting topic! Enjoy reading and watching? Please share with your community to help BUST THESE MYTHS!